I have a sneaking suspicion that March 2013 is going to blow my mind....I mean really -- Dr. Seuss Day, followed by St. Patrick's Day, followed by Palm Sunday, followed by Easter, topped off by General Conference!!!! Ok, GC is technically in April, but throw in a time change and possibly some lions and lambs and the first day of Spring and really, March is pretty much showing up every other month. In fact, all of the other months might as well take the rest of the year off, because March pretty much has things taken care of. You know who else has things taken care of? Melanie...of Sugardoodle and all of the people who helped her roll out her April 2013 General Conference Notebooks IN FOUR LANGUAGES - English, Spanish, Portuguese, and Russian. If you could just see how beautifully done these notebooks are! Now, I really only speak one of these languages fluently...two and three, I only fudge...and the fourth, I can only dream of understanding some day. But I know for a fact that there is a great desire and need for this type of supplemental material in non-english speaking areas of the church. So, I just want to say BRAVO to all who helped bring this to pass...and please...pass this along to anyone you might know who would appreciate this free download. I'm telling you, this is greatness! 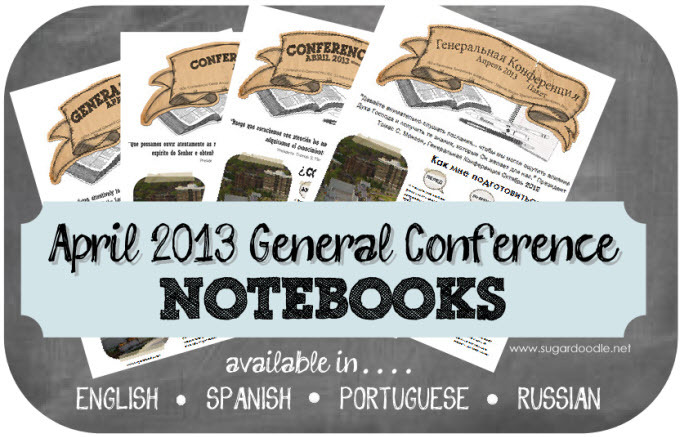 The General Conference packets are available now on Sugardoodle's General Conference Helps Page. Click here to get there! These are great and we love that they are diverse and come in other languages. 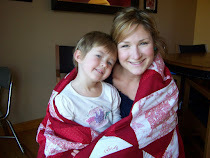 Plus we heart <3 Sugar Doodle!